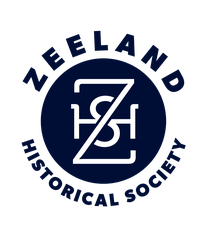 The Zeeland Historical Society will make its new publication, “Grandma’s Stories,” available for purchase at an introductory event from 10 a.m. to 1 p.m. on Saturday, March 7, at the Howard Miller Library, 14 S. Church St., Zeeland. “Grandma’s Stories” provides a narrative of early life in Zeeland, Byron Center and New Groningen. These vignettes, as told by Anthonette “Toni” Van Koevering Wildschut, captures slices of life in the developing settlements, and personalize the west Michigan immigrant experience via members of the Van Koevering, Van Hoven, Vande Luyster and DeJonge families. Books will sell for $10 at the introductory event or can be ordered by mail by sending a check to the Zeeland Historical Society, P.O. Box 165, Zeeland, MI 49464.